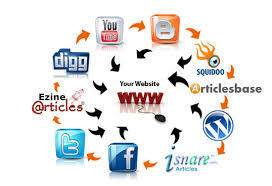 I will built a Penguin Safe Manual LINKWHEEL with 10 pr 8 to 6 Web2 Sites Dominate the First Page of Google. I will make a 100% penguin safe manual link wheel with absolutely unique and related contents. All 10 blogs are do follow with (PR 3-8 TLD). Articles will point your site as well as next blog property. After that I will ping all created links into 127 sites. Fast ranking within one month for medium competitive keywords. Then I will send you a full report. This strategy helped many of websites dominate search engine. 2000+ Satisfied Clients. Built Penguin Safe Manual LINKWHEEL with 10 pr 8 to 6 Web2 Sites Dominate the First Page of Google is ranked 5 out of 5. Based on 1 user reviews.